Canary Date Palm (Phoenix canariensis): growing, planting, caring. Phoenix canariensis is a species of flowering plant in the palm family Arecaceae, native to the Canary Islands and often used in the ornemental garden in warm regions, or as a houseplant in colder areas. 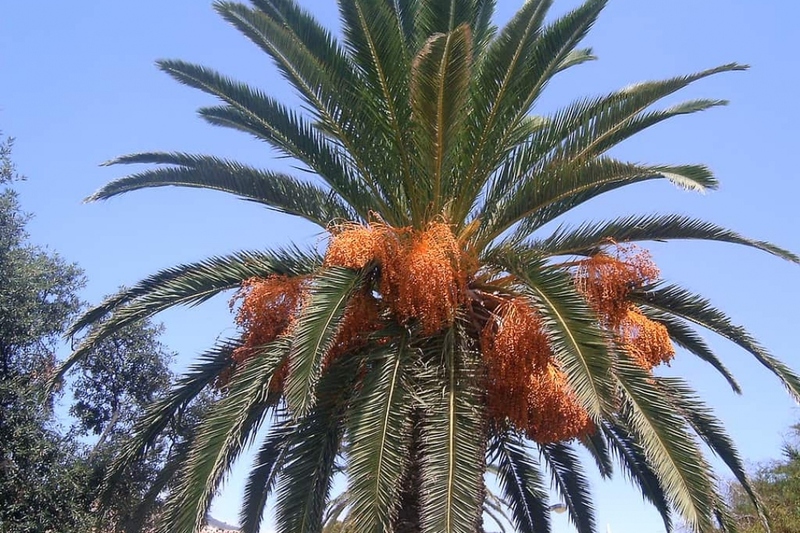 A relative of Phoenix dactylifera - the true date palm - Phoenix canariensis is a large solitary palm growing to 20 m (66 ft) tall in its natural habitat, with pinnate, 4–6 m (13–20 ft) long leaves.